The second unforgettable historical love story set in Italy from Marina Fiorato, author of the bestseller THE GLASSBLOWER OF MURANO. 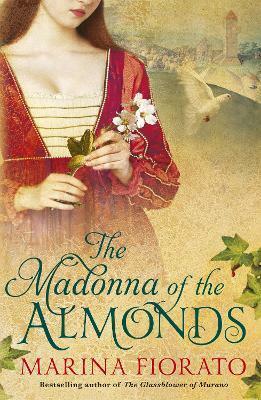 For fans of Philippa Gregory, Sarah Dunant and Alison Weir. Bernardino Luini, favoured apprentice of Leonardo da Vinci, is commissioned to paint a religious fresco in the hills of Lombardy. His eye is caught by the beautiful Simonetta di Saronno, a young noblewoman who has lost her husband to battle, and whose fortune is gone. Captivated by her beauty and sadness, Bernardino paints Simonetta's likeness, immortalizing her as the Madonna in his miraculous frescoes in Saronno's church. As the sittings progress, artist and model fall in love, and Simonetta reciprocates Luini's genius by creating a drinnk for her lover from the juice of almonds - the famous Amaretto di Saronno. As the frescoes and the liqueur near their completion, the couple's affair distils into a heady brew of religious scandal which threatens their love, and ultimately their lives. Who is the mysterious Jew with a golden hand? And how does a mute young soldier affect Simonetta's destiny?